Exploring All the Food Jersey City Has To Offer! Welcome to Meet the Vendor, a series on Jersey City Eats profiling different vendors from all the Farmers' Markets around Jersey City. We have a wonderful and constantly growing market scene in Jersey City with unique, dedicated vendors and I encourage everyone to take advantage. 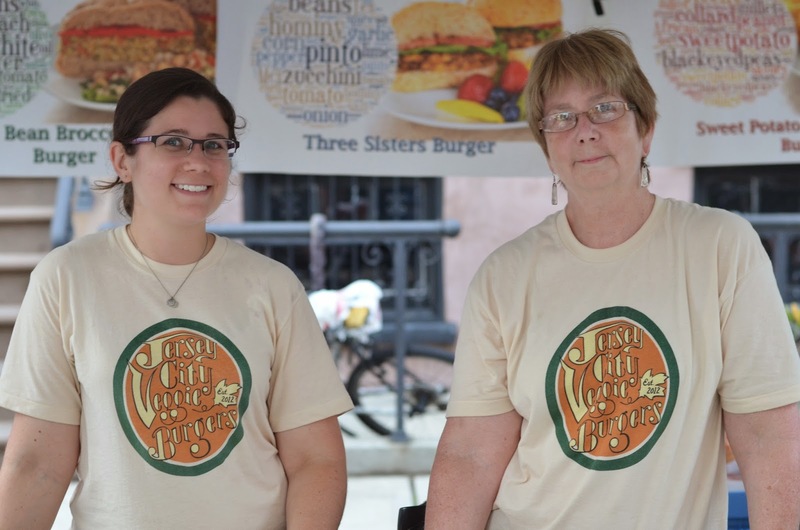 Today's vendor is Jersey City Veggie Burgers who can be found at various markets and events throughout Jersey City and New Jersey and the burgers can also be found at P&K Market on Newark Ave and from Dark Side of the Moo. Thanks for participating, Liz! What other markets do you participate in around Jersey City? Any outside of Jersey City? In Jersey City, I’m at the Riverview Market in JC Heights every Sunday and the Sixth Borough Market behind City Hall every month. I also participate in the Rutgers Gardens Farmers Market every Friday, and the Princeton Farmers Market every Thursday. My top seller is probably the Three Sisters Burger. It’s inspired by the three agricultural sisters: beans, corn and squash. It’s a little on the spicy side, and most people who like Tex-Mex food really enjoy it. Do you have any personal favorites amongst your products? My personal favorite is the Sweet Potato Collard Green Burger. It was the first recipe I developed, and was inspired by a very meaningful trip I took to Mali in West Africa. What are some of your other favorite stalls at the Jersey City markets? I love the produce at Poplar Wood Farm. I never used to like raw tomatoes, but then I tried their heirloom tomatoes and my world changed! I’ll be using their eggplant, tomato and herbs in one of my upcoming seasonal burgers. Any other information you think customers would want to know? Keep your ears peeled. We hope to be doing some big things in the coming year! Trolley Car Bar Grill Karaoke! Roman Nose is back from Vacation - with Specials! Milk Sugar Love Extended Hours! Meet the Vendor: Oh Honey! Alex's Pizza on Grove St. Now Open! La Festa Italiana is Back! Tuesday Night Special at Park & Sixth Gastropub! Jersey City In The News! 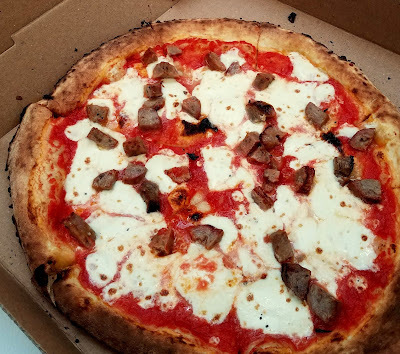 All pictures and text copyright of Jersey City Eats. Simple theme. Powered by Blogger.